SUEZ Water Technologies & Solutions offers the most comprehensive set of chemical and equipment solutions and services available. Follow us on Twitter @suezWATERTECH. By 2050, global trends predict the global population to grow by 3 billion people and global water demand to increase by 55%. Technology innovation and expertise are crucial to helping the world overcome these challenges. SUEZ’s Water Technologies & Solutions has the expertise to solve our customers’ toughest water and process challenges wherever they occur. Our global footprint and scale allows us to provide the right solutions for every challenge. We have more than 50,000 customers and 10,000 employees around the world. At our Minnetonka site, we manufacture filtration and purification products and systems, including reverse osmosis machines, membrane that we also roll into spiral wound elements, and pleated and depth filters. 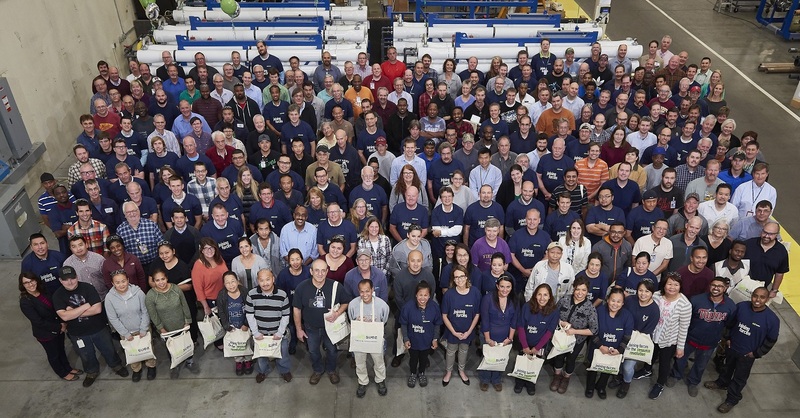 We employ over 450 employees at our 450,000-square foot site. Through focused efforts and teamwork, we have earned internal and external safety and quality recognition, including ISO 9001 and MNSTAR (VPP) certification. To apply for opportunities with our manufacturing team, click the Career Opportunities tab at the top of this page. At SUEZ Water Technologies & Solutions – Minnetonka, living the Standards of Excellence every day guides us as we strive to achieve our Purpose and Vision, and as we demonstrate our Values and Norms of Conduct. Have fun and focus on "we can"
People truly are our most valuable asset and we offer a comprehensive and competitive benefits package to attract and retain our team members. We believe in and support continuous improvement through a variety of personal and career growth opportunities, providing you with the tools and opportunities to control your own destiny. Develop new skills via team participation!